← Should you leave your PhD off your CV? –I get phishing/hacking e-mails on my institution’s account about every week or so. Like most folks, I get many “phishing” attempts on my e-mail. Some are quite good, but many have a weakness which exposes them. English is ridiculously complicated language, you see, and a non-native speaker, even one very fluent, often reveals himself as such with a phrase that no American would ever use. For example, you can buy “hot water cylinders” (legit site, but clearly not American despite the English language), but in America we just call them “water heaters,” even though, yeah, they’re usually cylindrical. U.S. universities urged to step up cybersecurity protections after report reveals Chinese hackers attempted to steal military secrets from dozens of institutions. This vastly more important research doesn’t make the news, because it’s not supposed to be common knowledge. It’s sad that this knowledge must be classified as “military secrets,” but the fact remains, other countries, including China, would like to have that knowledge as well. Chinese hackers are ramping up their efforts to steal military research secrets from U.S. universities, new cybersecurity intelligence suggests. The Massachusetts Institute of Technology, the University of Hawaii, Pennsylvania State University, Duke University and the University of Washington are among 27 institutions in the U.S., Canada and Southeast Asia to be targeted by Chinese hackers, The Wall Street Journal reported Tuesday. The primary target, this time, was undersea technology. Our oceans represent a vast source of resources, and the country best able to control/explore/exploit the seas has been the dominant country on the planet for several centuries now, it’s reasonable to think the undersea will be the next big frontier. One wonders why Harvard wasn’t on the list of targets. Maybe it has something to do with this? Again, a hidden takeaway: if you’re looking for a legitimate university to send your kids, see where the political leaders of your state send their kids. It’s not a sure thing mind you, but it’ll increase the odds of getting an education. 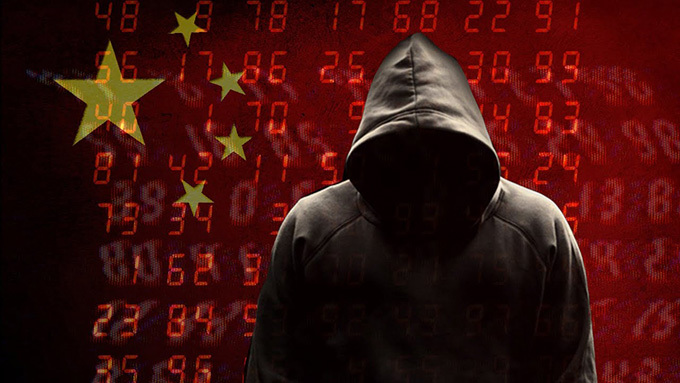 China is not the first country to target U.S. universities with a coordinated cybercampaign. Last year nine Iranian hackers were charged for their role in a phishing scam that ran from 2013 to 2017 and attempted to steal the passwords of hundreds of thousands of professors. Yeah, no kidding. While I don’t want to underestimate the legitimacy of this kind of threat, there’s a slant to this article, expressed in two ways. The first way is from the above, the “nine Iranian hackers.” Yeah, sure, but that’s not Iran, those are hackers who happen to be from Iran. I get hit with phishing attempts from foreigners on a very regular basis, you don’t need a government to do that sort of thing. Why didn’t the article go ahead and mention the Nigerian scam as well? I mean, at least a dozen people have died there, leaving me tens of millions of dollars, after all. The second? What moron thinks the United States government doesn’t do much of the same, at least when we can’t get their Secretary of State to simply just sell the secrets off her private e-mail server (like many countries did with us)? I respect our government is going to do that sort of thing, and thus we should not be so quick to anger when other countries do unto us as we do to them. We should be quick to guard our secrets, of course. Jeez, these people. I’m sorry, criminals and thieves have always been a big part of society, and while universities are certainly targeted by them, so is every business, and I daresay every human being on the planet with anything worth taking. That said, yeah, we need to safeguard things we value…but no harm in letting them take all they can from our converged campuses.